1 Kykuit offers the perfect day trip opportunity from New York City, particularly for travelers who enjoy architecture, art, beautiful landscapes, and history. 1.3 How big is Kykuit? Kykuit offers the perfect day trip opportunity from New York City, particularly for travelers who enjoy architecture, art, beautiful landscapes, and history. Less than one hour from Rockefeller Center, tucked into Pocantico Hills, is the beautiful Rockefeller Estate called “Kykuit”. 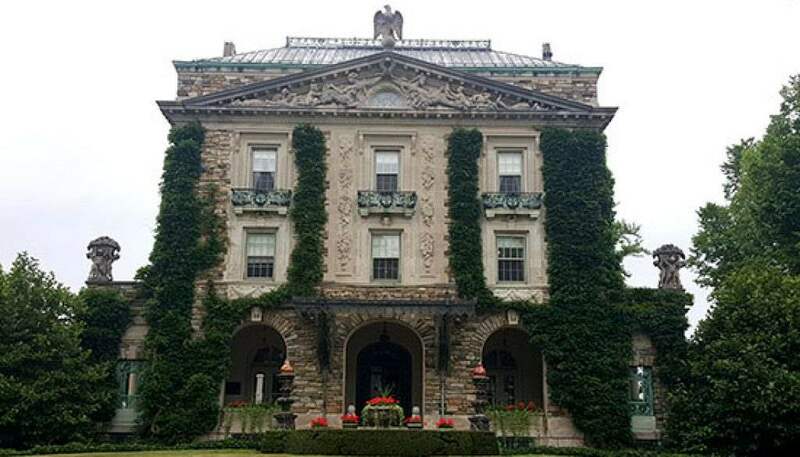 Located in Sleepy Hollow (Westchester County, NY), Kykuit is less than 40 minutes by train from Grand Central Terminal. If you only have a few days in NYC, don’t bother with day trips. There are so many interesting things to do and see in New York City that it would almost be a sin to leave the city if your time in the city is limited. However, if you have a week or more in the city, especially if you’ve visited NYC before, then a quick trip to Kykuit is a great idea. Kykuit, the name of the Rockefeller Estate, means “Lookout” in Dutch. And while the Rockefellers were not Dutch, the name likely paid homage to New York’s Dutch roots – New Amsterdam was established at the bottom of Manhattan, while New Netherland was spread across the East Coast of the United States, including Dutch colonies in upstate New York, Delaware, and New Jersey (check out a great book about NY’s Dutch influence by Russell Shorto called The Island at the Center of the World). The original “retreat” in the country was built by John D. Rockefeller, the family patriarch and oil monopolist, at the end of the 19th century (encouraged by his son, John D. Rockefeller Jr.). The house was altered in 1913 to its current appearance. The location was ideal for a family estate — an idyllic retreat and a relatively easy commute from New York City by steam boat up the Hudson River. “Senior” moved in to Kykuit when he was in his 70s (he died at 97). 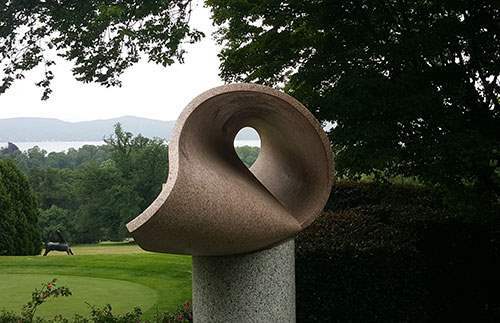 He commissioned a reversible 9-hole golf course on the property, since he was an avid golfer and had plenty of time for leisure in his later years. John D. Rockefeller was the world’s first billionaire, having amassed an enormous fortune with his oil behemoth called Standard Oil. Keep in mind, he was a billionaire more than a century ago! His son, “Junior”, also moved to Kykuit in his 70s, with his wife Abby Aldrich Rockefeller. One of Junior’s 5 sons, Nelson Rockefeller, was the prominent member of the third Rockefeller generation to live in the house. He is also responsible for adding an impressive collection of modern art, including paintings, tapestry, and sculptures. This conservative lifestyle is also reflected in the house itself, which, although grand, isn’t a “show-off” mansion like the Breakers in Newport, Rhode Island built by the Vanderbilts (or any other mansion built by the Vanderbilts, for that matter). The mansion itself, which is now open to the public as a museum, has 40 rooms. It sits on a 250-acre central section of the much bigger 3,400 acre Rockefeller family compound. Kykuit tours are offered by Historic Hudson Valley, which was established by “Junior” in 1951. They offer several different tours, ranging from the “Time Saver” tour, which lasts 90 minutes, to the “Grand Tour”, which lasts 3 hours. 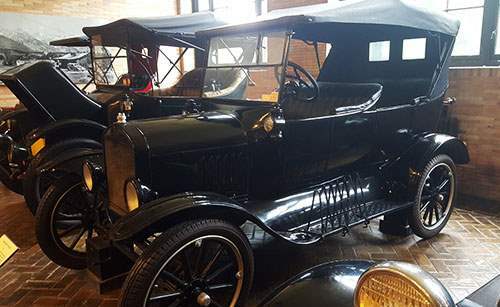 Most tours are $25 per adult on weekdays and $28 on weekends. The Grand Tour is $40. The days and hours of operation vary seasonally, so be sure to view the tours page for available dates during your visit. Reserving your tickets ahead of time is highly recommended, as they can sell out fast, especially on weekends. Depending on which tour option you choose, you may get to explore parts of the mansion; the beautiful main grounds, which combine landscape architecture, as well as classical and modern sculpture; the enormous “barn”, with a rare collection of vintage coaches and cars; and various gorgeously landscaped gardens, including the Italian garden and “Adam and Eve” fountain area. If you have an interest in modern art, be sure to choose a tour that includes Nelson Rockefeller’s (4-term NY State Governor and Vice President of the United States under President Ford) basement art gallery. Here you will find works by Picasso, Chagall, Warhol (including a “Pop Art” painting depicting an angry Nelson Rockefeller), and many other prominent artists who worked in the abstract, avant garde, and modern styles. Kykuit is a rare historic and architectural gem, which was home to 4 generations of the Rockefeller Family (David Rockefeller, who is Nelson’s brother and son of “Junior”, still lives in a different house on the enormous property and is 101 years old.). It’s a meticulously preserved century-old masterpiece, with amazing views of the surrounding Hudson valley, beautifully landscaped grounds and gardens, rare works of art – from ancient Chinese figurines to Picasso tapestry, from replica Florentine statues to modern sculptures – and beautiful architecture. 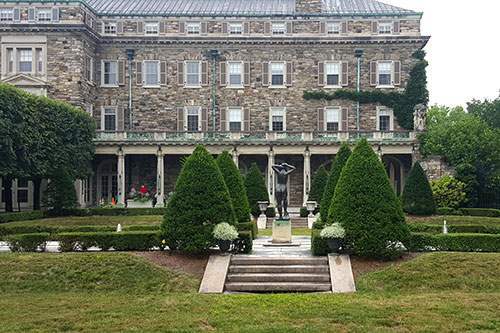 A day trip to Kykuit gives you a chance to get away from New York City’s crowds, noise, and traffic, while learning about the Rockefellers — one of the richest, most famous, influential, and philanthropic families in American history. The commute from Manhattan is under an hour, which makes it all-the-more appealing as a quick and enjoyable excursion into the “country”. Anyone with even a slight interest in history, architecture, nature, interior design, and art, will walk away delighted. Don’t rush back to Manhattan after your tour, because neighboring Tarrytown offers some terrific dining options along Main Street. It has a charming small-town feel and quality lunch and dinner options in just a few short blocks. Fans of Washington Irving’s “Legend of Sleepy Hollow” should head to nearby Sleepy Hollow Cemetery. While you may not encounter any Headless Horsemen or ghosts by day, you can visit graves of famous “residents”, including Walter Chrysler, Andrew Carnegie, and of course, Washington Irving himself. Kykuit’s website provides great directions to the Rockefeller Estate if you’re driving. If you plan to take the train, head to Grand Central Terminal on East 42nd Street in Midtown, Manhattan. Once inside, enter the Main Concourse with the Milky Way vaulted ceiling, and buy a round-trip ticket to Tarrytown. You can just hail a taxi (there should be taxis waiting for arriving passengers when you exit, if not, call 914-631-TAXI) for the 5-minute ride to Philipsburg Manor, where the Kykuit tours depart from. And if you’d like to explore New York City before or after your visit to Kykuit, check out our fun and informative small-group NYC walking tours.